Perhaps unsurprisingly, baby sparrows that hatch from large eggs are consistently bigger than their small egg counterparts. They can store up more reserves if food becomes scarce. So you would think that it's always a good idea to lay big eggs, because your offspring would seem to have a greater chance of survival. But research biologists from the Norwegian University of Science and Technology (NTNU) noticed that the difference in volume from the smallest to the largest egg can vary by 50 percent. Between 2003 and 2009, they examined the egg sizes of an insular population of house sparrows on Hestmannøy in Nordland County. Now, the results have been published—and they are surprising. "We looked at the survival of the young and the chances of recruitment," says postdoctoral fellow Thomas Kvalnes at NTNU's Centre for Biodiversity Dynamics (CBD). The researchers didn't simply look at whether the young survived, but also whether they survived to be able to produce their own young when they became old enough. They found two main attributes: First of all, big eggs are advantageous for the short-term survival of the young—but only when there's a lot of rain. During rainy periods, parents rarely venture out to get food because insects are less accessible. In that case, it's an advantage for the nestlings to have more energy reserves from the egg. But researchers also found another connection: Temperature affects whether it is advantageous to hatch from large or small eggs. In higher temperatures, the young are better off if they hatch from smaller eggs. "At low temperatures, extra reserves from large eggs are important, while at high temperatures, the same reserves probably lead to faster growth than is optimal for long-term survival," says Kvalnes. So it's possible to grow too fast. This can happen when greater egg reserves, plenty of food and higher temperatures all coincide. "Previous research has shown that too-rapid growth can lead to a lower survival rate over time," Kvalnes says. This may be due to something called oxidative stress. Rapid growth increases the production of what is known as reactive oxygen species. The body's defence against these degradative compounds cannot always keep up if an organism grows too fast. This stress can lead to shorter telomeres, which are the caps at the end of each strand of DNA that prevent the genes from being damaged during cell division. Biologists have previously found a connection between telomere length and length of life. It's no easy matter to predict the weather, either for people or for house sparrows. If the advantage of different egg sizes depends on the weather, the birds have a challenge if they want their offspring to have the greatest possibility of surviving long enough to produce their own young. So how do they solve it? "We see that every female lays eggs of varying sizes in the same clutch," says Kvalnes. 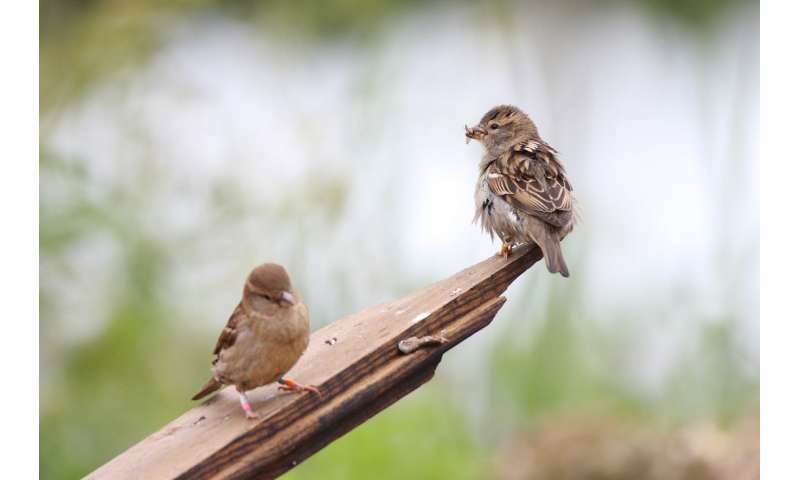 House sparrows can produce up to three clutches during a season, from early spring to August. The eggs come in assorted sizes within each of these clutches. "This variation increases the chance that some eggs are always close to the optimal size depending on the weather conditions," Kvalnes says. 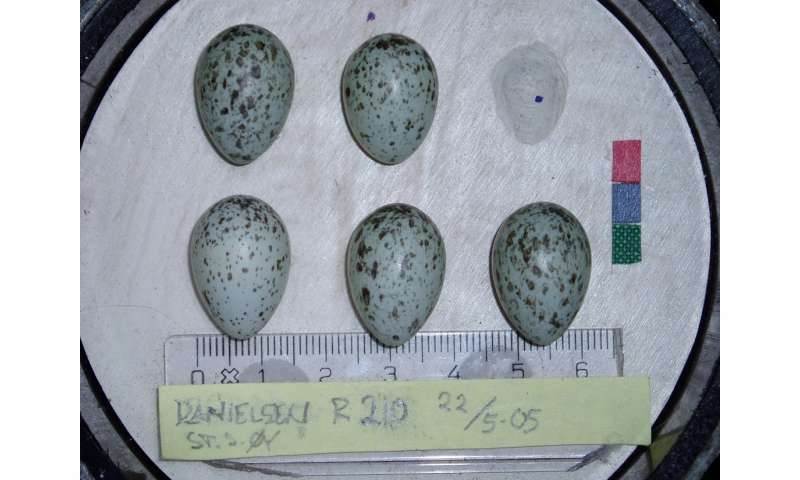 Research results also show that the eggs in the last clutch tend to be consistently smaller than eggs early in the season. This may not be so strange, since the average temperature in August is usually higher than early in the spring. The house sparrow may put all her eggs in the same nest, but she still ensures species security through their varied sizes. Why aren't house sparrows as big as geese?